NAIROBI, Jul 16 2018 (IPS) – An increasing number of African countries are now embracing the blue economy for its potential to deliver solutions to their most pressing development needs–particularly extreme poverty and hunger. “The African Union has also adopted the blue economy, which is about exploiting resources such as oceans, lakes and rivers, into its 2063 development agenda for socio-economic transformation,” Danson Mwangangi, an independent economic researcher and analyst, tells IPS. In Kenya, for instance, World Bank statistics show that in 2017 alone maize production dropped 20 to 30 percent due to insufficient rains and army worm infestation. The country has an annual maize shortfall of eight million bags per year. 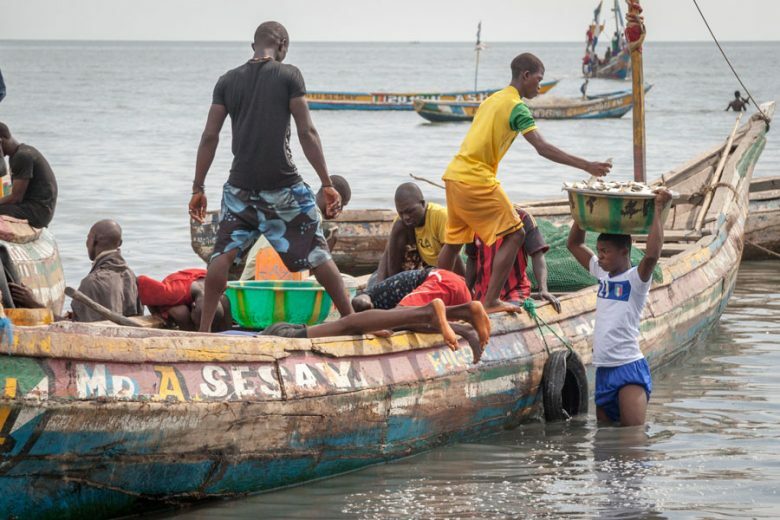 Against this backdrop, experts are urging African countries to diversify and look beyond land-based resources by exploring the blue economy as it presents immense untapped potential. The World Bank and the United Nations Development Programme (UNDP) in their 2018 policy brief make a strong case in favour of the blue economy. Mwangangi says that it can significantly enable Africa to improve its volumes of global trade, achieve food security and meet its energy demands. Ocean renewable energy has the potential to meet up to 400 percent of the current global energy demand, according to the International Energy Agency. “Seventy percent of African countries are either coastal or islands, we need to harness such valuable coastlines,” says Caesar Bita, head of underwater archaeology at the National Museums of Kenya. He tells IPS that the blue world can significantly transform the lives of communities that live closest to those bodies of water since they lead very precarious lives. According to John Omingo, head of commercial shipping at the Kenya Maritime Authority, very little has been done in the way of harnessing these vast water-based resources for economic gain. “Africa’s coastline is about 31,000 kilometres long and yet trade among African countries accounts for 11 percent of the total trade volume, which is the lowest compared to the Association of Southeast Asian Nations, Europe and America,” he expounds. Ahead of the upcoming Sustainable Blue Economy Conference, that will be co-host by Kenya and Canada this November, in Nairobi, economic experts are optimistic that the blue economy movement is gaining traction. The high-level conference is expected to advance a global agenda on sustainable exploitation of oceans, seas, rivers and lakes. “Holding the conference in Africa with Canada as a co-host is also very strategic and shows that the continent is coming into this agenda as an important partner. Some of the most important gateways for international trade are actually in Africa,” says Bita. Mwangangi says that African countries will need to assess their own individual capacities and interpret the blue economy in the manner that makes most economic sense to them. “The concept is not a one-size-fits-all. Each country will need to evaluate what water-based natural resources are at their disposal,” he says. “On the Indian Ocean side of the continent where we have South Africa and Mauritius, countries tend to embrace an industrial approach,” he adds. Research shows that South Africa’s Operation Phakisa, a national development plan, also places a focus on the blue economy as it is expected to create one million new jobs by 2030 and add approximately USD13 billion into the country’s economy. Experts also point to Mauritius which is among the smallest countries in the world but has territorial waters the size of South Africa, making the small nation one the strongest blue economies in Africa. It ranked as Africa’s wealthiest nation based on its per capita income in 2015. Bita adds that Mozambique, which lies alongside the Indian Ocean, is characterised by the highest species of diverse and abundant natural resources. Kenya is among African countries that are developing strategies to mainstream the blue economy within its national economic blueprint. Bita says that this East African nation’s blue economy includes maritime transport and logistics services, fisheries and aquaculture, tourism as well as the extractive industries such as the offshore mining of gas and oil, titanium and niobium. Nonetheless, environment experts, including Bita, have expressed concerns that ongoing talks on the blue economy have largely revolved around full exploitation, in order for countries to develop rapidly in the next 10 years, and little on sustainability. “This is a problem since there is evidence to show that oceans resources are limited. For instance, explorers have presented evidence to show that at least 90 percent of the largest predatory fishes have disappeared from the world’s oceans,” he cautions. The blue world will only be a win for Africa if there are strategies in place to exploit and protect it, he adds.